Preventive geriatrics care lowers your risk for age-related illnesses, such as Alzheimer’s disease and other forms of dementia. 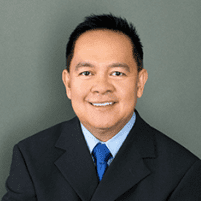 If you or a loved one is struggling to find personalized geriatrics care with a physician who treats his patients like family, call Dr. Gilbert Sunio at Sunmed Health and Weight Management in Visalia, California or schedule an appointment online today. Seeing a physician who specializes in geriatrics care is crucial for maximizing the health of elderly patients. Getting the right care, support, and treatment can add years to your or your loved one’s life. Dementia refers to a group of symptoms associated with impaired thinking skills and memory loss, which is common in older age. Dementia can make it difficult for older adults to function well in society and, in some cases, even stay safe. Alzheimer’s disease is the most common form of dementia and a leading cause of death in the United States today. Older adults, especially those with Alzheimer’s disease and other forms of dementia, may require additional assistance as they age. As these conditions progress, Dr. Sunio can provide referrals for home care, home health, and hospice care, as needed. If you or your loved one suffers from dementia or needs routine preventive geriatrics care, call Dr. Sunio or book an appointment online today.